I’ll be honest – when I first arrived in Moldova, it seemed like a crazy, chaotic place that was far too wild for me. But slowly I’m getting used to it. One thing is for certain – people here take nothing for granted. You always have to be on your toes. 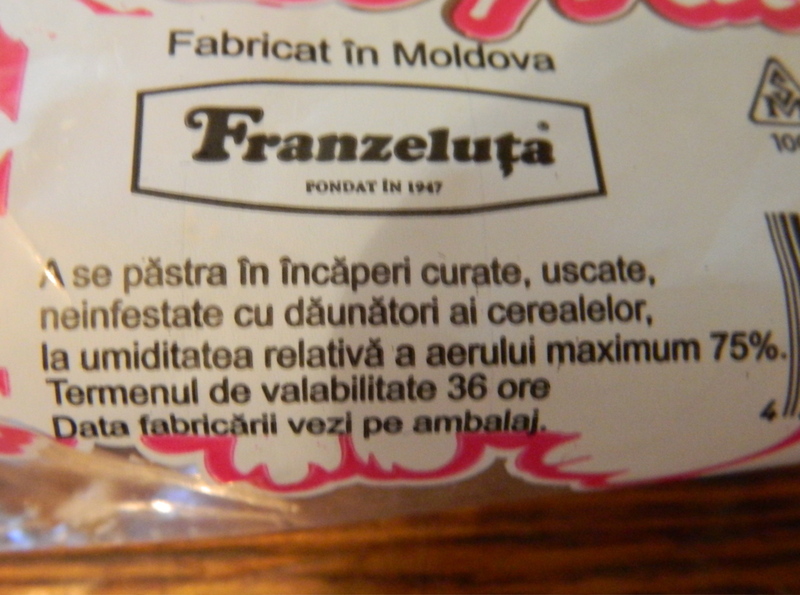 Very few things on the grocery store shelves are manufactured in Moldova. My rough estimation is that about 90% of the processed food comes from Ukraine (including some big names like Nestle and Lay’s potato chips). But one local bakery, Franzeluta (the name means something like “The Little Loaf”), is a shining exception to that rule. If you live in Romania, or anywhere else, you’ve never had a chance to taste their many wonderful breads and pastries. They’re made without preservatives or chemicals and so they don’t last long enough to be exported. This morning I was enjoying a bun with “magiun” (essentially applesauce) and I happened to glance down at the wrapper. First of all, the ingredients include apa potabila or “potable water” (water that’s safe to drink). Well my gosh, what other kind of water would they use? 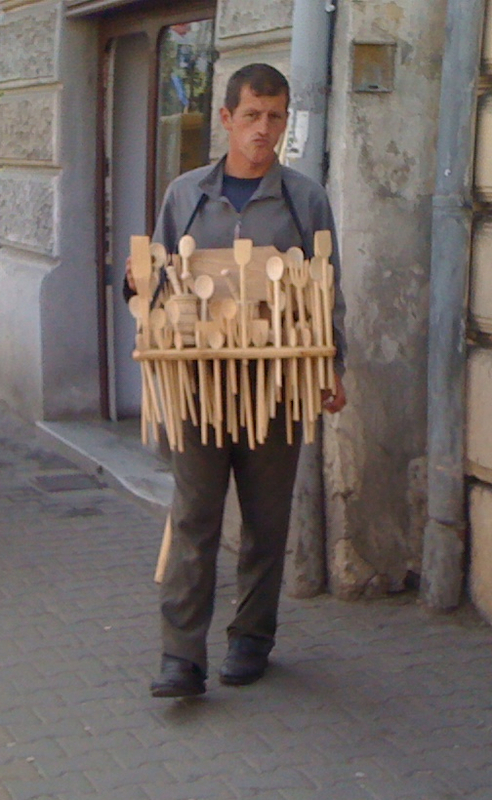 But hey, as I said, in Moldova nobody ever takes anything for granted. Product should be stored in a clean, dry place that is not infested with insects that damage cereal (bread) products. Product should be stored in a location where the relative air humidity is less than 75%. Gosh, do you love it? Also, don’t bring Franzeluta products to a tropical jungle. Let me shed some light, Sam. The label has the information usually found on merceologie textbooks. I don’t know how to translate “merceologie”, basically it studies the characteristics of various commodities in order to establish their quality and it also details the methods of producing and storing them. Samule, nu faci un AMA reddit r/romania?